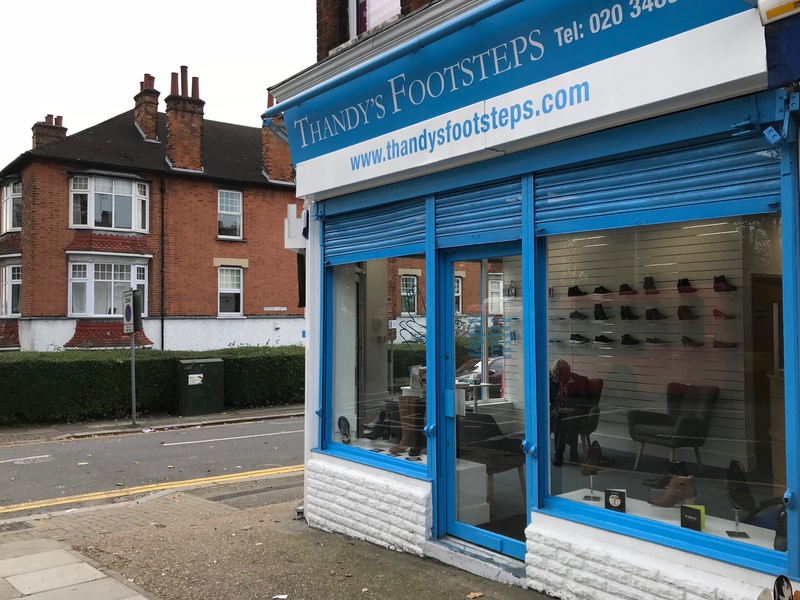 We’re always keen to flag up interesting new local businesses and this distinctive corner shop opposite High Barnet tube is now home to Thandy’s Footsteps chiropody clinic and foot spa. For years I’ve wondered what I would do with this shop as it’s been through a series of weird incarnations, but sadly mainly shuttered and closed. However, Thandy Mali who lives locally has brought life back to it, opening a useful one-stop-shop for feet. Thandy has over 20 years’ experience and has been the Clinical Lead for Diabetes at Imperial College NHS Trust and previously ran clinics in New Barnet, Primrose Hill and Marylebone. So, my daughter’s veruca and my neglected feet were good excuses to try her out. Thandy is warm, friendly and very chatty and makes it all rather enjoyable. What’s more, she’s particularly good with children. Verucas require a few visits and, hopefully, our upcoming third appointment should see the end of it. After my routine check up my feet felt soft and pampered. 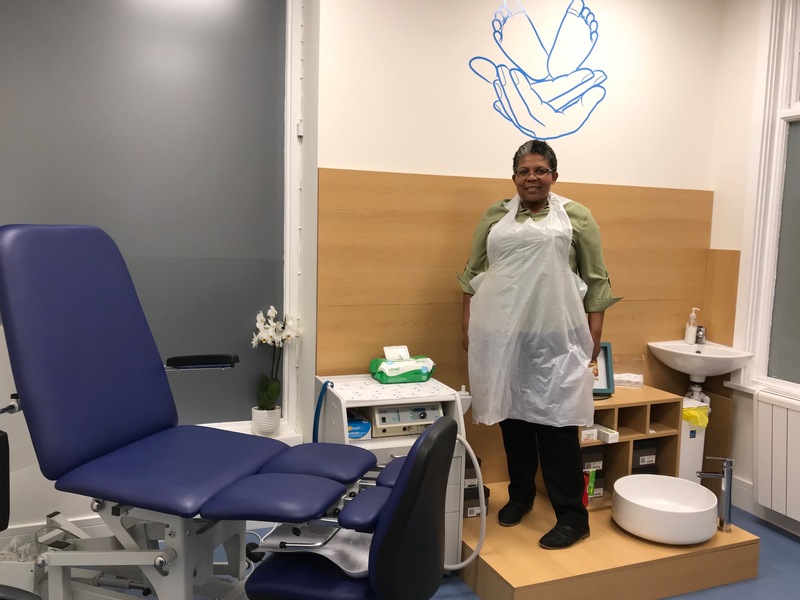 Thandy and her team also offer nail surgery, diabetic foot care and treat sports injuries and biomechanical problems like bunions and flat feet. There is also heat therapy for feet and hands (paraffin wax) that’s especially good for people with arthritis, rheumatism or fibromalgia. 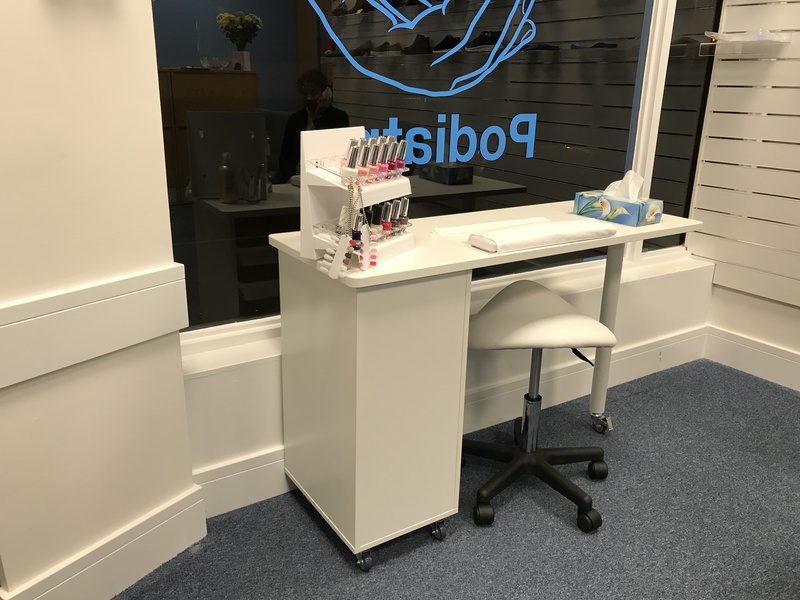 The foot spa specialialises in pedicures as, apparently, many people pick up fungal infections and other nail health issues caused by unhygienic practitioners. 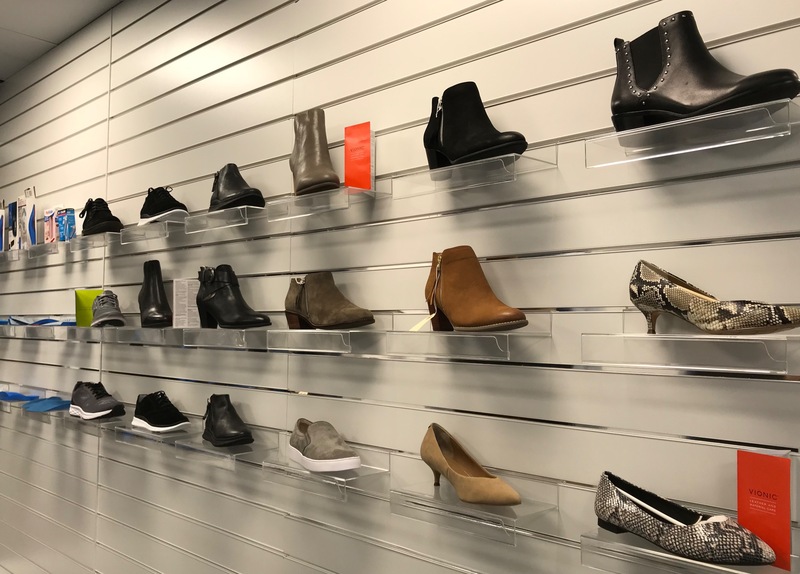 They also stock a range of VIONIC footwear and organise custom-made insoles.